Driving the Mazda6 even in busy West Columbia traffic is easier with these two features that alert you of obstacles that might be out of your field of vision. This feature assists drivers that need to safely accelerate from a stopped position while on an upward slope. These electronic systems sense factors like speed, road conditions, and driving style to help a driver maintain control in adverse weather. In low-speed traffic this feature uses laser technology to help you avoid collisions by automatically applying the brakes when it senses an incoming obstacle. 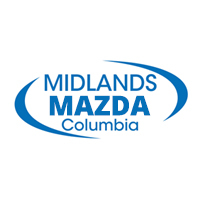 Learn more about the 2018 Mazda6 exterior and compare the Mazda6 vs. Toyota Corolla to see if this sedan is right for you, or explore the legacy of Mazda origins at Midlands Mazda near Lexington. Be sure to know what to do when the Mazda check engine light comes on.